As the consumer market continues to shift to more health conscious and environmentally friendly trends, Lauren Morgan of Lauren Morgan CO. is jumping on board with the fashion industry’s movement to create a world of sustainable, conscious fashion standards. As a graduate of the University of Cincinnati’s DAAP program, Lauren always knew she was destined to be in fashion. More specifically, sustainable fashion. Early on in her career she designed dresses made of natural fibers, but with the heavy competition, she knew she needed to find her niche. Ultimately, Lauren and her husband left Cincinnati and soon fell in love with the natural beauty of Martha’s Vineyard. Surrounded by locally grown foods and an ever-present support for community, Lauren was drawn to the organic lifestyle that the island possessed. 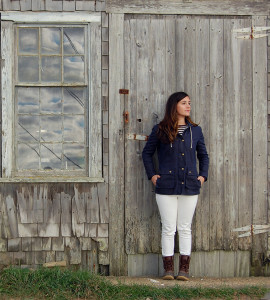 Martha’s Vineyard’s inclination to promote local products, such as farmers markets and craft fairs, only fueled Lauren’s motivation to create fashion that was not only sourced from natural origins, but also benefited the environment. 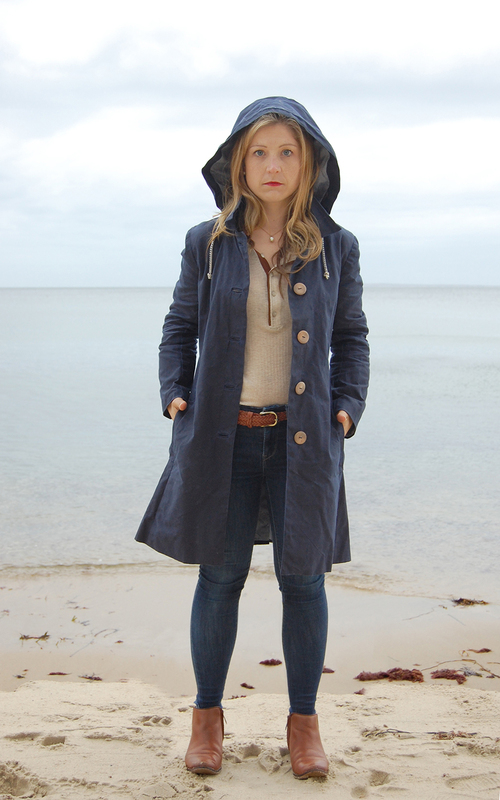 After a few encounters with relentless New England rains in a hoodless trench coat, it was actually at one of Chilmark’s Flea Markets that Lauren first tested her own locally produced fashion wear. 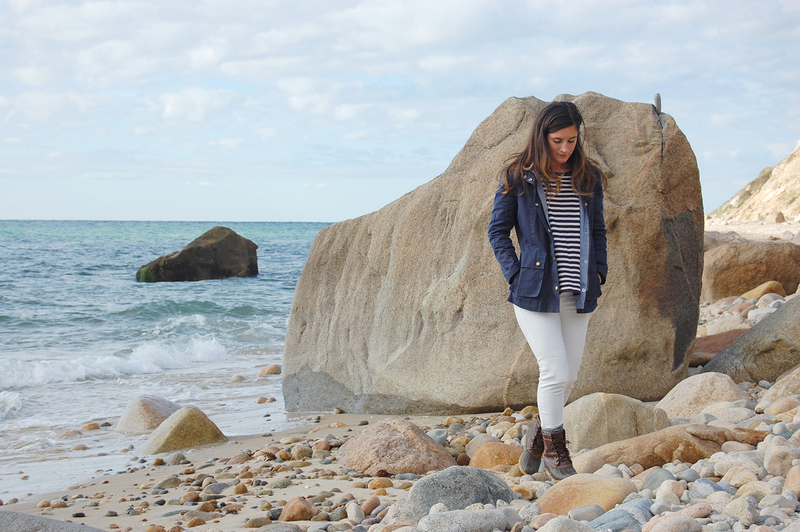 With a positive response, the Lauren Morgan Company was founded at the end of 2017, introducing lines of American made, environmentally sustainable rain coats. 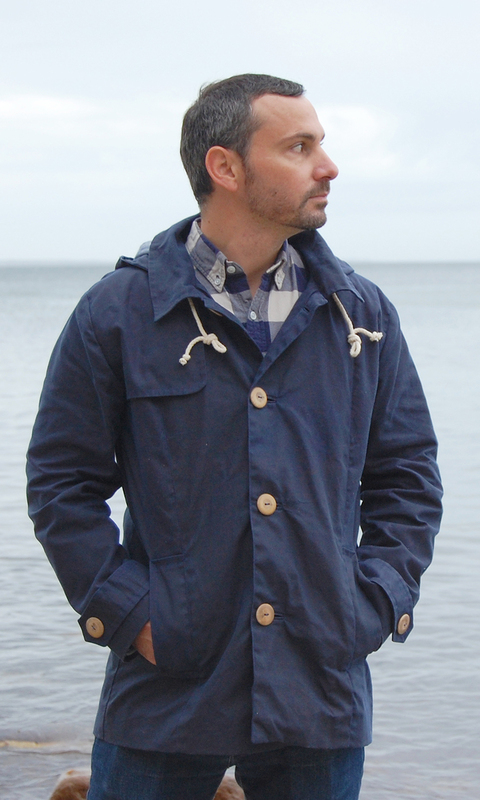 These jackets, which are a harmonious blend between a trendy British style and practical outdoor foul weather gear, bring to life a New England inspired rain jacket. If we are comparing cute and durable, we can file it under a New England necessity! Lauren already carries jackets for both women and men, to include the Nor’easter and Downeaster styles. While the Nor’easter resembles a trench and the Downeaster takes on more of a utility style, both are sewn at Good Clothing Company in Fall River, Massachusetts using one hundred percent organic cotton grown in northern Texas and every button, zipper, and drawstring is crafted from an American vendor handpicked by Lauren herself! Wearing Lauren’s jackets won’t just make you feel stylish, but you will also be modeling a piece of craftsmanship that embodies the importance of environmentally sustainable fashion. On her website Lauren states, “We inquire where our products are made, under what conditions, using which chemicals, and to what effect on the environment”. Lauren Morgan Company’s process is not only beneficial to those wearing the jackets, but to those creating the jackets as well. By supporting small businesses and local farming, and turning away from mass production lines, it is eliminating opportunities for unacceptable working conditions for employees. In addition, carbon pathways can be monitored. It is proven that mass manufacturing plants create chemical waste that pollutes communities, such as contaminated town rivers or poor air quality. Raising awareness to sustainable fashion is creating a chance to, “demand more research and data for the chemicals permitted on our bodies and in our homes, water, and air”, as Lauren states. It is a chance to ultimately benefit the community and environment alike. 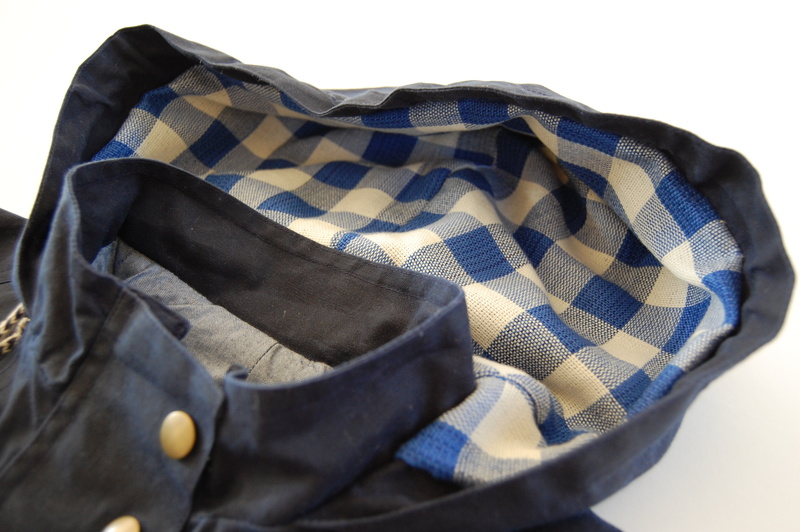 What sets Lauren Morgan Co. apart from any other clothing manufacturers? That today’s consumer market is shifting in the direction of environmental awareness in a multitude of ways: There are local or organic options in produce and meat, beauty serums that are stripped of any harsh chemicals, and modes of transportation that are fueled solely from electric charge. Products like this decrease carbon footprints, waste, and unethical production methods that harm the environment. Lauren Morgan Co. is joining the team of fashion and small business pioneers that are voicing that sustainable fashion is important for ethical production standards. By knowing the details as to exactly where and how every piece of Lauren’s jacket is made, these jackets are creating environmental appreciation and awareness. What’s next for Lauren? As she launches her jacket designs, she is already thinking about how to translate her look into a classic vest or maybe even a chic parka. The raincoats will soon be carried in local boutiques but if you are interested in getting a jump on this style, visit her online shop at www.laurenmorganco.com.